You can make it easier to break-in a new pair of boots by softening them up first. 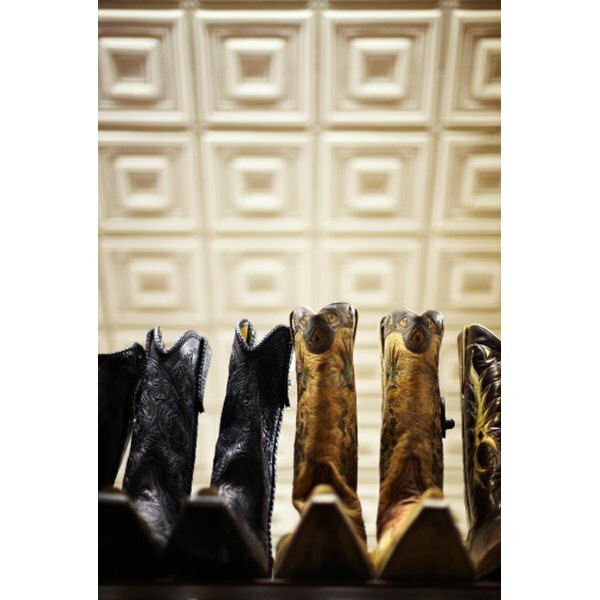 A well-worn pair of cowboy boots will be soft and fit perfectly to the shape of your foot. Nothing fits better or more comfortably than a pair of cowboy boots that have been broken in. Cowboy boots should be purchased new and the fit should be a little tight. As you wear them they will stretch and soften. Fortunately there are steps you can take to shorten this uncomfortable period and speed up the softening process. Soak a cloth in warm water. Gently wring out the cloth so that it isn't dripping but is still wet. Rub the warm, wet cloth on a bar of saddle soap until you produce lather. Apply the saddle soap onto the outside upper part of the boot, beginning near the toe and working your way to the back of the foot. Rub the soap into the leather in a slow, circular motion. Leave the boot to absorb the soap for about an hour. Repeat this step for the other boot. Buff the surface of the boot with a towel to remove any surface saddle soap and to give the boot a nice shine. Repeat this step for the other boot. Put your feet into the boots. 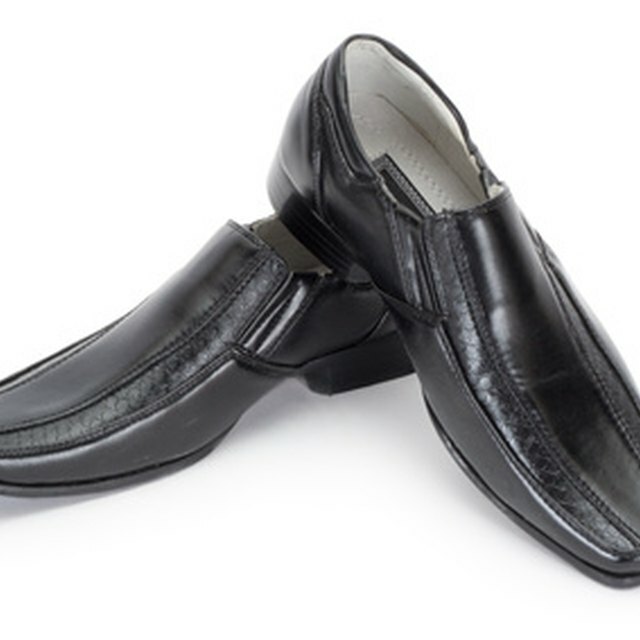 If you can, try wearing a thicker pair of socks or two layers of socks to help stretch out the leather faster. Wear the boots around the house to continue stretching and softening the leather. The leather will be more pliable after absorbing the saddle soap. Repeat the process of cleaning the leather with saddle soap after two days if the leather is still too stiff or too tight. It is better to wear the boots around the house until the leather has been adequately stretched and softened. Remove the boots from your feet if they start to hurt, and let your feet recover before putting them back on to continue the process of stretching and softening the leather.